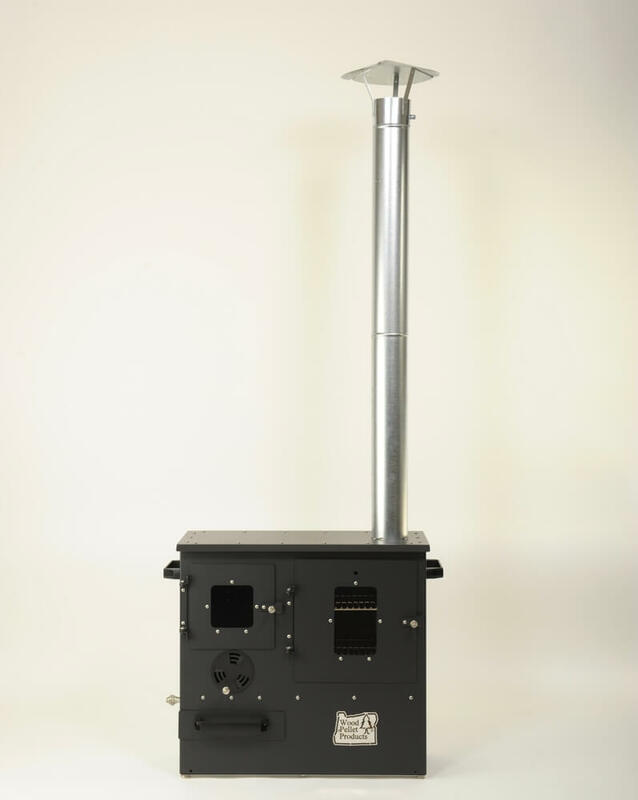 Live like a pioneer with WPP’s portable wood burning cookstove. The Utility of this device gives you the freedom to feel at home anywhere you roam. 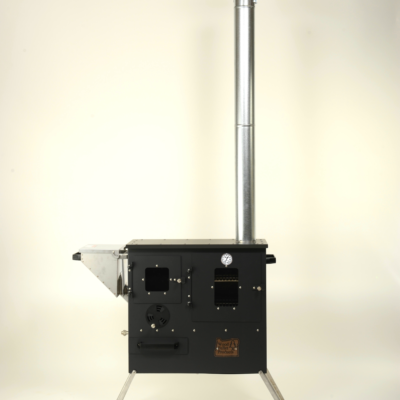 Using only cord wood, sticks, pinecones, anything nature provides as fuel, the Timber Grill Cookstove keeps you warm and fed. Three main components make up the cookstove: The Cooktop, fireplace, and oven. With the combination of three products into one, the Timber Grill is a space saver. This lightweight device(70 lbs) has a stowaway for the stove pipe, making it compact and easy to move. Cooking a complete meal and gathering around a smoke free fire, makes the Timber Grill part of the camp. Easy to use, the Timber Grill Cookstove is a campfire in a box. All you do is feed it fuel. Temperature adjustment comes from the damper dial on the front of the stove, giving you complete control of both oven and cooktop temperatures. The Max oven temperature reaches 550 degrees F. With A BTU output of 35K, it’s easy to stay warm next to the Timber Grill too. 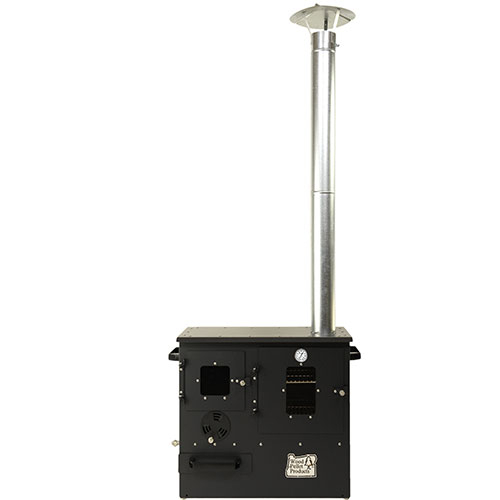 -Can accept Pellet hopper assembly to transform into the gravity fed wood pellet cookstove. -Can fit 2 8x4x10” pieces of cord wood. 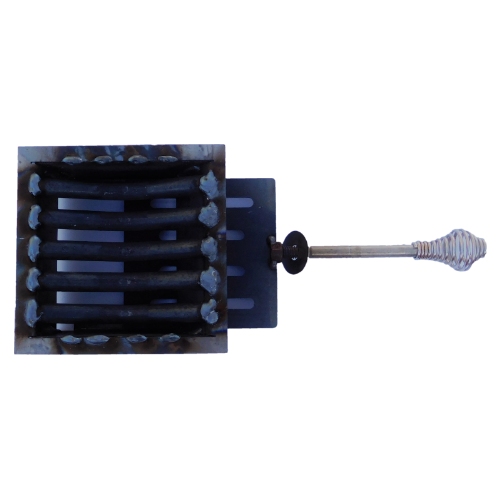 -Includes 2 pieces 4” galvanized stove pipe and one rain cap, a shutoff key, two 13×11” grills, and a wood burning firegrate. Cooktop – With 252 Sq. inches of cooking area, the cooktop is really the funnest part of the gravity grill. 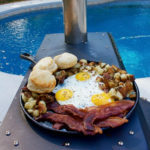 Who doesn’t like breakfast off the griddle in the great outdoors! Oven – Includes two 13”x11” grills for a total cooking area of 286 Sq. inches. With Oven temperatures ranging from 100 to 550 degrees F., cooking possibilities are truly limitless. 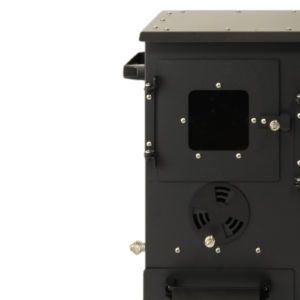 Firebox – 35k BTU output keeps you warm and cooks your food all at the same time. Shipping Weight 87 lb in protective carton, shipping cost varies per location. LTL freight truck shipping.